Life’s short – make it sweet! 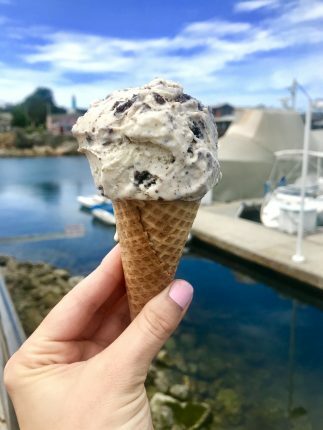 And why not start with perusing and of course, tasting some of the sweetest of treats during you next visit to Monterey. With candy stores, ice cream shops and delectable dessert menus all within walking distance to the Portola Hotel – you’ll definitely want to lace up those walking shoes, so you can indulge in treats and burn some calories all at the same time! 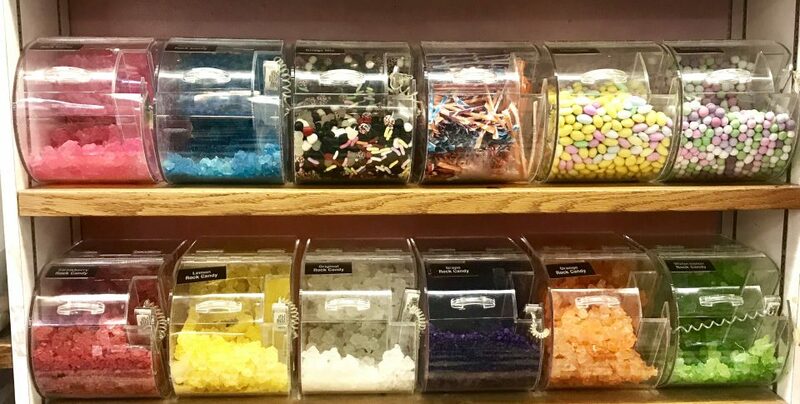 Well, you know the saying – “like a kid in a candy store” and if you want to have a real-life candy store moment, then visit Candy Land, located here at the Portola Hotel & Spa. With candy filled barrels lining each aisle, I’m pretty sure this is candy heaven. 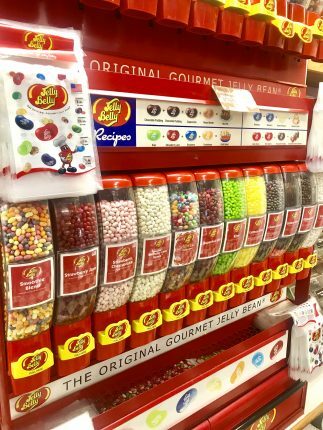 From gummies to every sour candy imaginable, jellies to even cotton candy – any sweet tooth will be satisfied (just make sure to brush afterwards). One of my favorites is salt water taffy – and if you’re looking for the best in all of Monterey, look no further than Carousel Candies located on Fisherman’s Wharf. 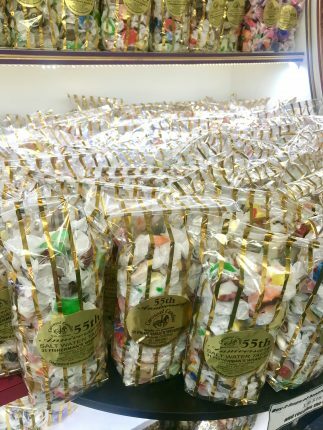 As the only manufacturer of hand made salt water taffy, Carousel Candies has it down, after 47+ years of experience in the business! They are also well-know for their handmade chocolates, fudge, caramel corn and another crowd favorite – caramel apples! For a more sophisticated palate, head on down Alvarado Street outside the front entrance of the Portola and walk your way to the local’s favorite – Revival Ice Cream for hand crafted artisan flavors or visit MYO a few storefronts down for delicious and low fat frozen yogurt (plus tons of toppings to choose from). Crepes of Brittany, is also an excellent option, located right outside the hotel on Portola Plaza. With a menu featuring both sweet and savory crepes try the Apple Cinnamon Caramel or Brie & Caramelized Onion. Now for those who enjoy indulging in dessert after a delicious, sit down meal, try The Bomb, ice cream cake at Jacks Monterey or homemade strawberry shortcake. Pair ed with an after-dinner cocktail or port, savor the best flavors in all of Monterey! P.S. 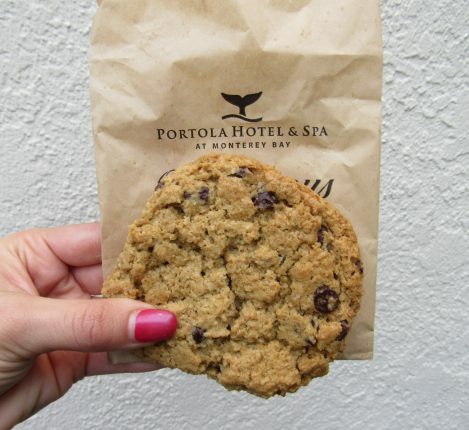 Don’t forget – when you check in at the Portola Hotel & Spa, you get a warm, homemade chocolate chip and rumor has it – it’s one of the best in all of Monterey, maybe the entire world!